Who will be the Game changer Affiliate Tracking Solution in the 2019 & Why? 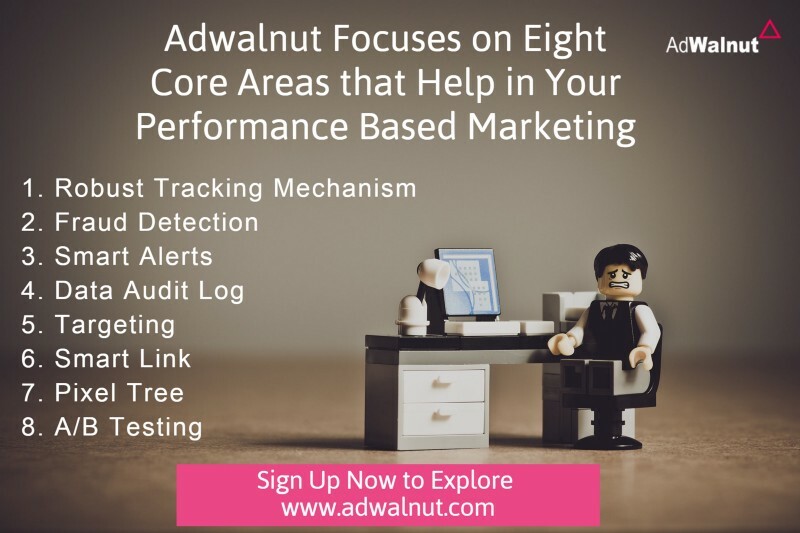 There is no doubt that Adwalnut, a SaaS based performance marketing application can be a game changer solution in the 2019. Working concurrently on different platforms is really inflexible, lengthy and ineffective. With Adwalnut you can manage and optimize your performance/affiliate marketing effortlessly. Apart from that you will get the entire portrait of your performance and are able to effortlessly grasp the uncover parts that require your awareness. 1. Robust Tracking Mechanism which maximizes ROI by ensuring accuracy. 2. Fraud Detection: This protects against fraud and provides security for your digital marketing campaigns. 3. Smart Alerts which instantaneously notify the actions. 4. Data Audit Log which traces and caters real-time action. 5 Targeting: Ensuring robust targeting with precision. 6. Smart Link: With Smart Save Your time, optimize your traffic & amplify your revenue. 7. Pixel Tree: Discover a unique way of detecting the link is broken or not. 8. A/B Testing: Optimize more campaigns with A/B Testing. So, if you are looking for a sophisticated solution for your Affiliate marketing? Look no further. Just using the best SaaS-based platform known as Adwalnut helps to make strong customer affairs that drive sales, sustainability, and growth. So it’s a time to grasp the proper affiliate tracking application to expand your online business significantly.